In this new series of Learning Cryptocurrency with SmartCash, we learn what Market Cap is, and why it is important for the macro level of any cryptocurrency. First thing, we assume basic knowledge of what a cryptocurrency is, and that Alt's such as SmartCash, are where your interests at least partially if not entirely focused. Over to the Learning, What is a "Market Cap" short for Market Capitalization. 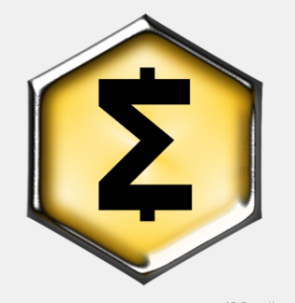 In simple terms it is the total monetary value which is calculated by taking the circulating supply of say SmartCash, and then timsing it by the Price of SmartCash. So what does this mean? well in short if everyone sold all of the SMART at one time the amount of money gained by this sale would be $3,653,569.88. Now that we have explained what Market Cap is, we need to explain why it is important. When looking at any currency or financial asset class the market cap represents the total value of that financial instrument. The most important thing that differs between cryptocurrency in gernal compared with traditional markets, is that the total circulating supply has more influences accting on it. Mining of SMART adds more "Potential" Market supply, once SMART is sold via exchanges the circulating supply increases, and the converse is true, if all SMART is held and not sold or bought on exchanges then the circulating supply goes down. Price also responds to Market Volume, but is not entirely influenced by circulating volume. The price is the most volitile component because it is the price somone or somthing is willing to pay for a given amount of SMART. There are alot of price stability mechanisms and market volume stabilising methods used by various parties to try to control the Market Cap, but that is beyond the scope of this simple article. To summarise; total circulating supply of SmartCash times the price equals the Market Cap and the bigger the Market Cap, the greater the Value of SmartCash, and by extension the greater your proportion of that value your Smartcash represents. If you feel i have missed something or need to identify a technical correction please be polite and let me know, i will update the content based on the advice of the community. Thanks for writing this. I downloaded the SmartCash wallet and am playing around with it. Got 20 SMART from the Twitter promotion and then practiced sending 10 of it to another wallet. Transaction was nearly instantaneous. I'm trying CPU mining from the wallet now. Haven't been able to get sgminer to start on a desktop computer... maybe the AMD graphics card is too old. Anyways, it's been fun. Thanks for your article on SmartCash. I'm looking forward to reading more of what you have to say. Upvoted your post! 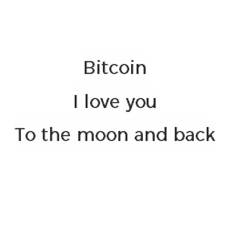 I feel someday bitcoin will become greater than gold, a beacon of light in the night that's so bitter and cold.